John Masters just gets me, y'know? My scalp is always playing up and just when I think I've gotten it under control with a great product, it starts flaring up again. When I got my hair bleached a couple of months back I specifically went for a look that was an ombre sort of style (I don't have a clue what I'm talking about with hair styles so please bare with), so that the bleach wouldn't touch my scalp. I would LOVE to bleach my hair all over and dye it purple, but alas, I know the weeks after with a seriously irritated scalp would make me cry. Just the process of having to have my hair bleached and then coloured, brushed, pulled at, blow dried and washed several times in about 5 hours left me with a really, really sore scalp for days afterwards. 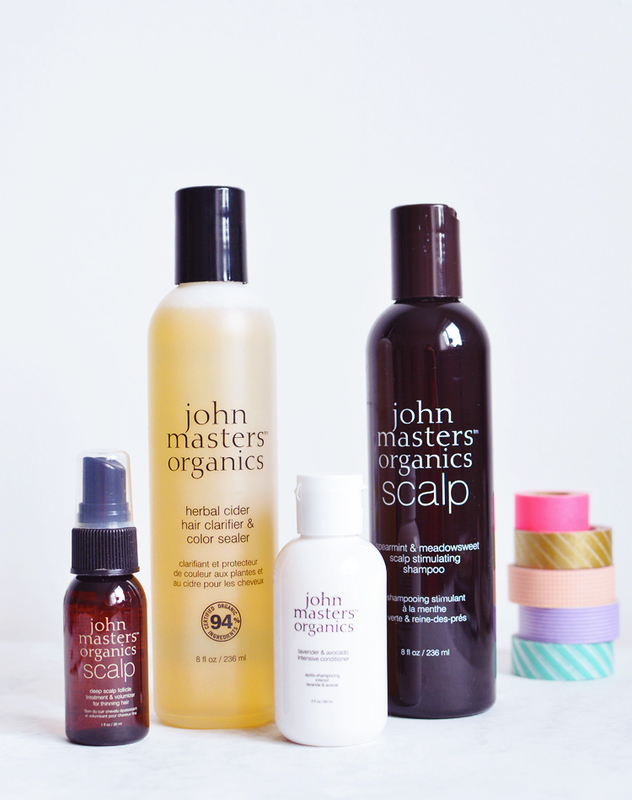 About a month after having my hair done I decided to order some John Masters products for some scalp TLC. I've used the 'Bare' Shampoo in the past and loved it, but decided to specifically go for the scalp care shampoo this time to see if something more targeted would help. I also picked up a hair rinse and smaller sizes of conditioner and a scalp treatment to trial before committing to a full size. It's been just under 3 months now, and having nearly used everything up I thought a review was in order! I was dubious how long this 230ml bottle would last, but 3 months with 2 people using it is pretty good going, right? There's even about an inch left to go yet. This minty fresh shampoo leaves my hair feeling clean without being too squeaky. It contains a host of astringent, anti-inflammatory, soothing and strengthening ingredients. My hair feels soft, shiny and still in great condition after being abused. My scalp is still a little flaky but it has improved a lot, and hasn't been itchy or sore since introducing this bunch of products. Nobody ever finishes their conditioner at the same time as their shampoo, surely? So im glad for this mini size, as I might just run out at the same time as the shampoo. This is one of those conditioners that has an immediate effect on the hair, as soon as you apply it your hair turns silky soft and detangles immediatly, and the effects continue after you rinse it out too. The ends of my hair have felt so soft and conditioned since using this, it's really, really good, guys. I was going to repurchase as I thought it was vegan after reading the ingredients on the Love Lula website, but they seem to be wrong as my bottle and everywhere else lists honey as an ingredient. 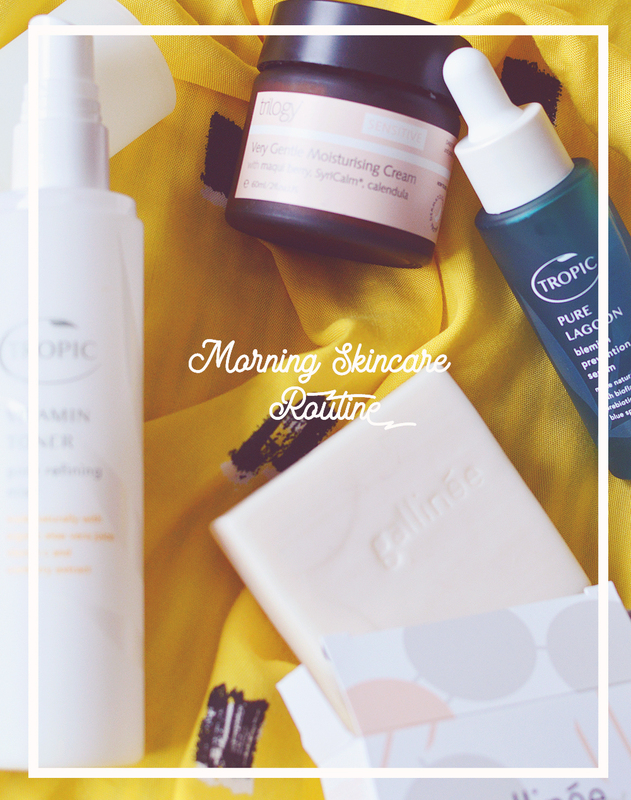 Beauty products are the one thing I keep forgetting about and slipping up on in this whole new vegan world! An every-other-wash sort of deal, I was sold when I read that this helps restore the PH of the scalp. It cleans away buildup and environmental residue, including lime from hard water, leaving hair super shiny, with apple cider vinegar, lemon oil, flower and herbal extracts. To use I just add 1-2 capfuls into a jug, dilute with about 1 cup water and pour over clean wet hair. You can leave this in but I prefer to quickly rinse after a minute or two to get rid of the vinegar aroma (though I know this doesn't linger if you decide to not wash it out). This isn't a miracle product, but it's a nice treat for the hair and scalp and I've enjoyed using it. Not sure I would repurchase, though. I know I want to purchase the full size of this, the mini size didn't last very long at all for me as I probably used too much each time. I don't know if I can give a decent enough review for this reason, but my initial thoughts were good; it felt so cooling on the scalp and I didn't have any issues whilst using it! No greasy roots, not itchy at all, just a fresh normal hair and scalp. I need to use it long term to see if it doesn some of the other things it claims, so will try and pick it up asap! What do you think of John Masters? Have you used the brand before?